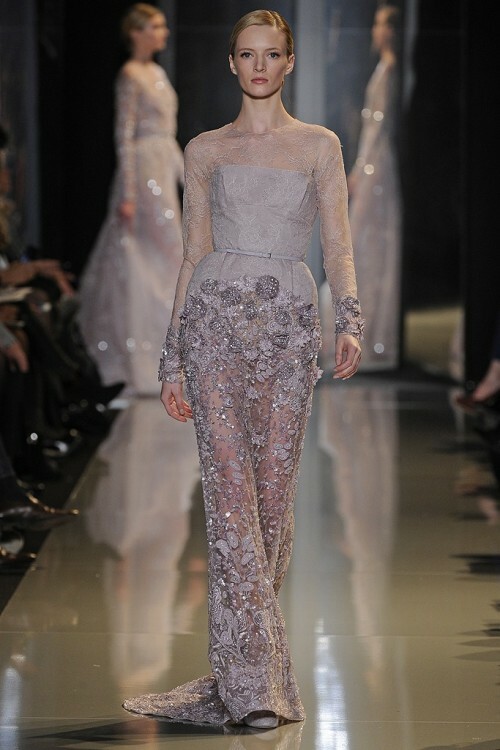 Of all the haute couture designers, Elie Saab is quite possibly the one I love the most. 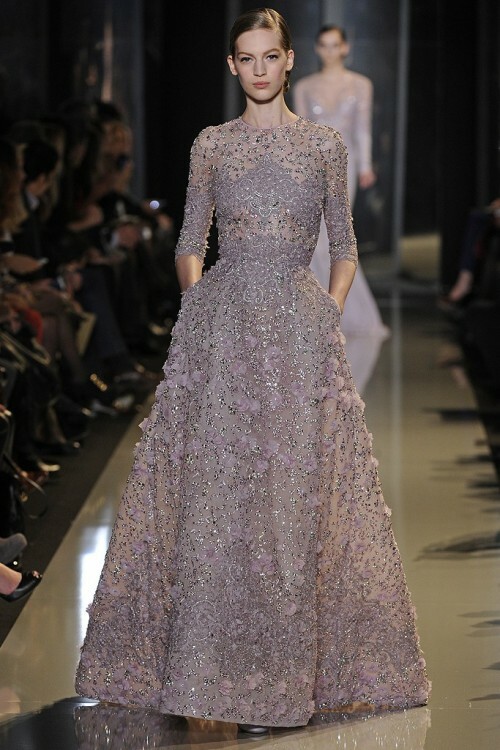 The beading, the lace, the sparkles, and the details (flower petals, belts, and pockets this time around) are all just incredible. These are only a few of my favorite looks from the most recent show, and it was so hard to pick!